These six stories trace the history and prehistory of Abe Sapien?s adventures, from his earliest days in the Bureau with Hellboy (as drawn by Kevin Nowlan) through the frog war, featuring an appearance by deceased homunculus Roger, to his current evolved form, when he?s looking back on his life as a man in 1850s England. 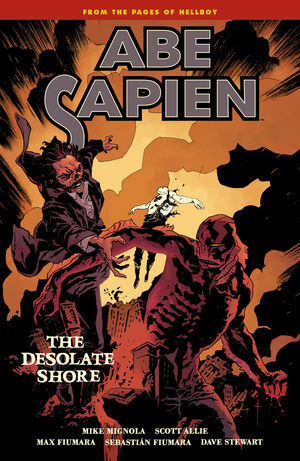 Collects the Abe Sapien one-shots #8, #15, #23, #27, and #30 and ?Abe Sapien: Subconscious? from Dark Horse Presents (volume 3) #11.